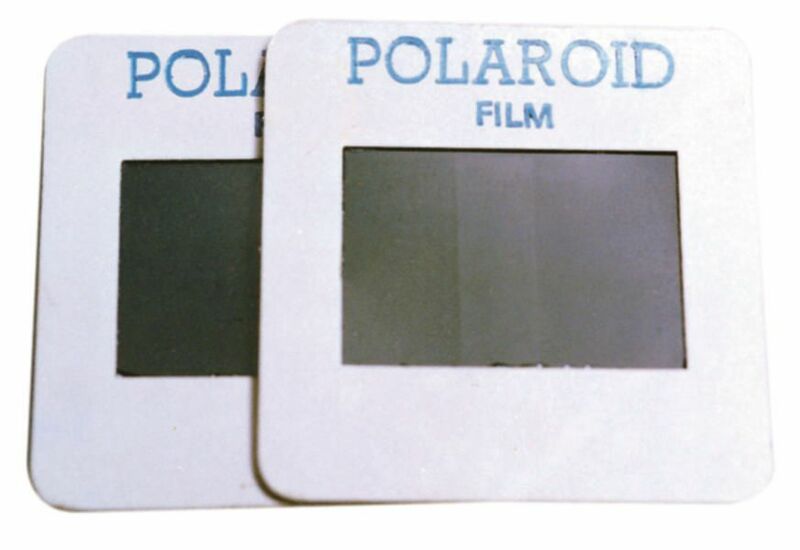 When this pair of polaroid film squares are aligned, light passes through them appearing much as it would if viewed through sunglasses. However, if one square is rotated 90 no light passes through at all! A great way to demonstrate the principles of polarization and the wave properties of light.